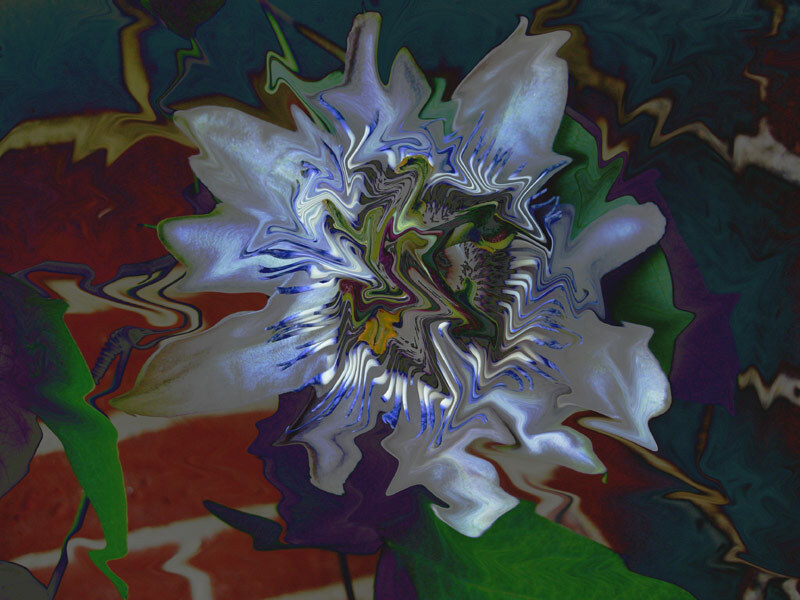 Herbal Secrets of the Rainforest by Leslie Taylor lists Passiflora as containing Alkaloids, Alpha-alanine, Apigenin, D-fructose, D-glucose, Flavonoids, Gum, Gynocardin, Harmaline, Harmalol, Harmine, Harmol, Homoorientin, Isoorientin, Isovitexin, Kaempferol, Lutenin-2, Luteolin, Maltol, N-nonacosane, Orientin, Passiflorine, Phenylalanine, Proline, Quercetin, Raffinose, Rutin, Saccharose, Saponaretin, Saponarine, Scopoletin, Sitosterol, Stigmasterol, Sucrose, Tyrosine, Umbelliferone, Valine, Vitexin. ”Many Passiflora species are cyanogenic (Olafsdottir et al. 1989; Spencer 1988), that is they liberate hydrogen cyanide (HCN) when damaged…Most plants that are cyanogenic contain both a cyanogenic glycoside and the necessary enzyme (a b-glycosidase) that when combined during structural damage to the leaf, as they would be during herbivory, liberate HCN. In most cyanogenic plants, the cyanogenic glycosides are located within the vacuoles of cells while the enzymes are attached to the outside of the cell wall (Gruhnert et al. 1994). Therefore, for Cyanogenesis to occur cells must be lysed (broken) and the intracellular contents, include the vacular contents, must spill into the intercellular spaces. Because cyanide is toxic to so many species, cyanogenesis acts as a defense against many potential predators (Jones 1988; Nahrstedt 1985; Schappert & Shore 1999). However, to some species (including the two butterflies in the population study) that have adapted to use cyanogenic species as host plants, differing levels of cyanogenesis among individual plants may have implications for the use of plants in the population. Don’t try this at home folks. To experience the consequences of herbivory I tried chewing a P. caerulea leaf. At first it is quite sweet, then as the cells are crushed the taste and smell changes due to the bitterness caused by the very rapid cyanide release..which results in you spitting it out. It left my tongue feeling a bit odd for a while. The bitter taste is to discourage rather than kill bigger predators, so we are unlikely to come to harm, though the plants hope to do more severe damage to caterpillars. Nevertheless assume that all fresh Passiflora foliage is toxic. The foliage of many Passiflora even when undamaged also often has a pungent bitter smell to warn you. I would recommend only eating ripe fruit from commercial sources like shops and markets. Passion fruit juice is used worldwide in exotic drinks etc. The fruit are also widely available, usually being P.edulis, yellow or purple fruit, or occasionally P. ligularis which has a hard brittle shell. Unripe fruit can also contain poisonous cyanogenic glycosides. P. adenopoda & possibly P. gibertii unripe fruit are of particular concern. There is also a question as to whether P. ‘St. Rule’ is also P. gibertii under another name. Henk Wouters advises however that the P. gibertii grown from seed from Mauro Peixoto in Brazil, in Piet Moerman’s Collection, has bigger flowers, different buds, stronger leaves, etc compared with P. ‘St. Rule’. He also thinks the one now named as P. gibertii is possibly P. pallens. ‘I must come down firmly against fooling around casually with the eating the shells or rinds of passifloras. Many are poisonous. Millions of years of God’s evolution has made the fruit to be delicious, …inside! Maybe when ripe the outside is OK, or if they are bred to be bland, like cultivated P. quadrangularis, but wild species are dangerous to play around with, especially raw. And unripe fruit walls are very very dangerous! Cut it and smell it-you can often detect the cyanide. 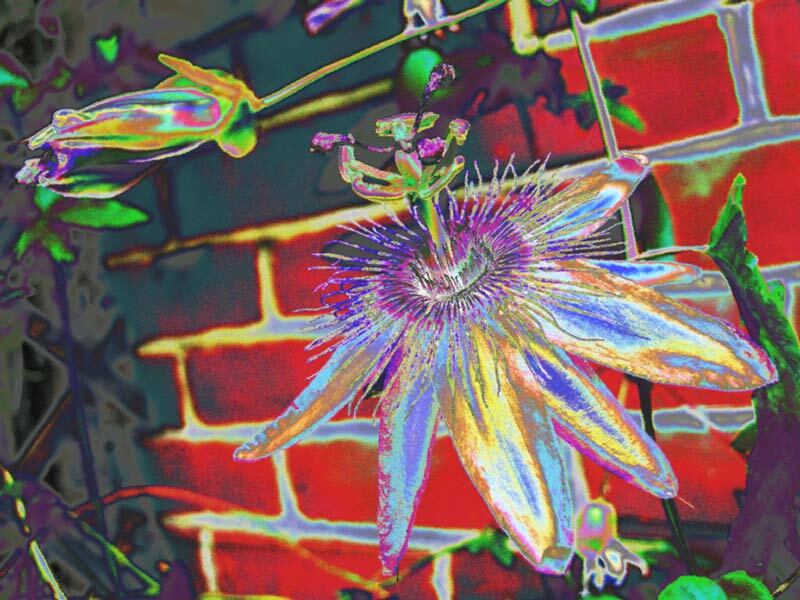 You may have smelled it when you cut a fruit that still had seeds at the “white stage.” Most species of passiflora produce cyanide in all their parts as a protection against insects and animals eating them. The young, developing ovary and immature fruit often have the highest concentration of all!!! (to protect the baby seeds?). But not all species have been tested.